With a 1.6L turbocharged GDI 4-cylinder engine, the 2017 Hyundai Elantra Sport sets itself apart in the sedan class of vehicles. This vehicle provides over 200 horsepower under the hood which easily beats out the Honda Civic which only tops out around 180 on a good day. Hyundai has made clear that safety is a priority for their organization for decades, and this model of the Elantra Sport is no different. The 2017 Elantra Sport introduced automatic emergency braking with pedestrian detection to keep you and your riders safe from people or objects that you might not have seen. Part of the comfort of any vehicle is the sound. No one enjoys a road trip where the sound of the engine gives them a headache within the first couple of hours. 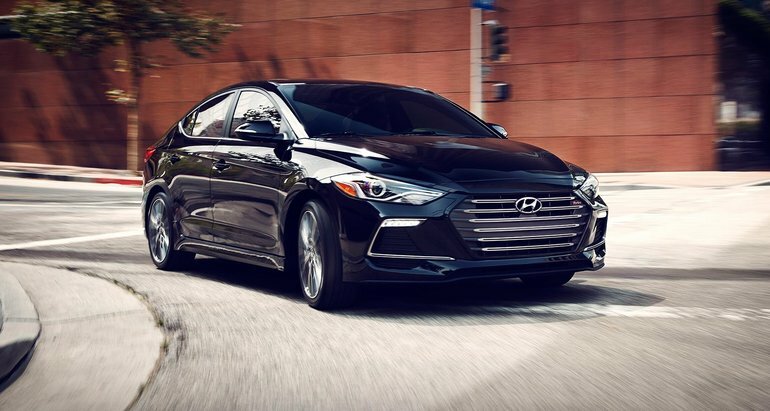 With the 2017 Hyundai Elantra Sports' sound absorbing material above the rear wheels wells and thicker glass for the front windows, you can rest assured that will not happen to you. Hands down one of the most innovative new features of the Elantra Sport is the dynamic bending lights. These front lights actually move in sync with the steering wheel to help light your way through winding roads at night. The Honda Civic cannot come close to matching this level of creativity. There are dozens of great features in this new vehicle, and the list above just scratches the surface. Contact us with any questions you might have about what else the all-new Hyundai Elantra Sport has to offer you.